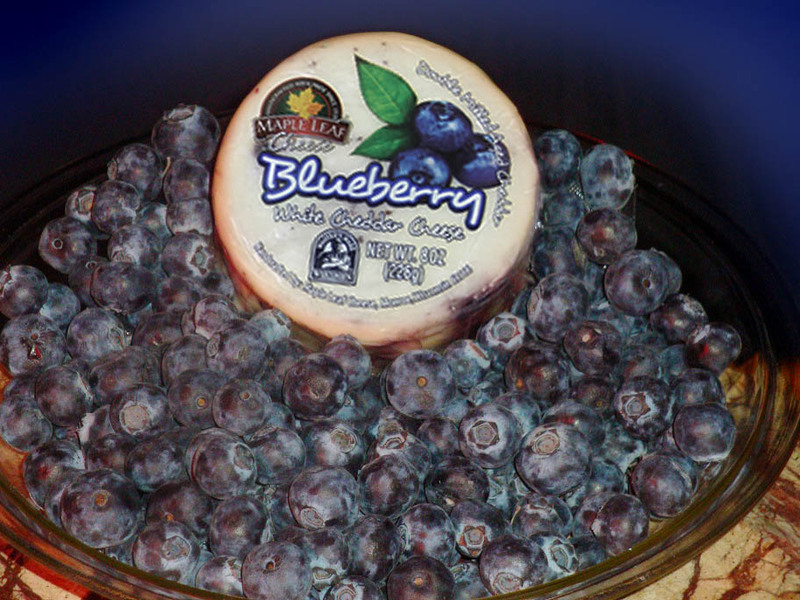 Blueberries with our Maple Leaf Aged White Cheddar make for a flavor packed cheese. This cheese will become sharper with age and the texture will become granular and crumbly. Great on its own, as a dessert cheese or shredded into your favorite recipes!